What did the vegetables that they sold at Washington Market back in 1880 and 1890 taste like? You just go nuts thinking about it because you can’t know. The issue is that the challenge of flavour reconstruction is not simply biological — combining particular varietals with the appropriate growing conditions — but also contextual. 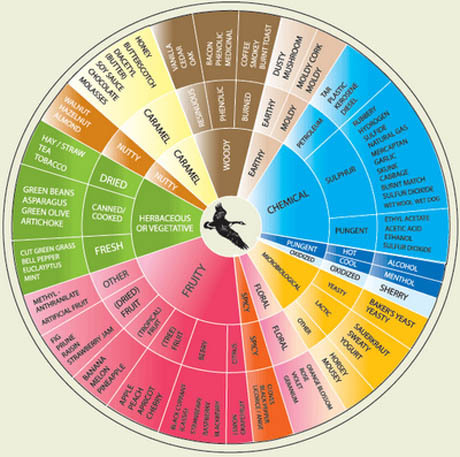 IMAGE: The ubiquitous Wine Aroma Wheel, developed by Ann C. Noble of UC Davis, which both describes and shapes California wines today. 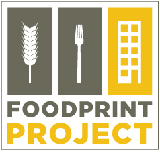 Historical agricultural technologies, processing, storage practices, and preparation styles can, for the most part, be reconstructed, but the sensory and analytical framework through which we taste food, on both a personal and cultural level, shifts over time in ways that we don’t even have the language to describe, let alone recreate. Nonetheless, two interesting experiments in bio-reconstruction, each with a claim to recreate historical flavour, recently popped up in my reading list. 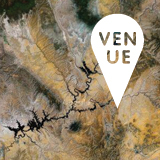 The first comes via architectural historian and wine cartographer David Gissen’s blog, HTC Experiments, and concerns franc de pied wines. 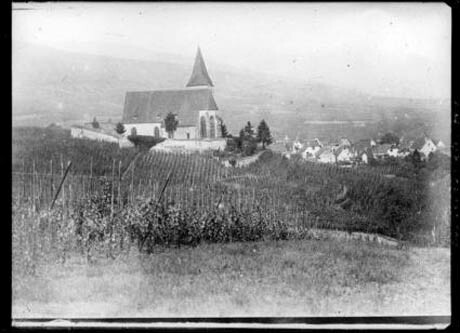 IMAGE: Vineyards in France, Bibliothèque nationale de France, via HTC Experiments. 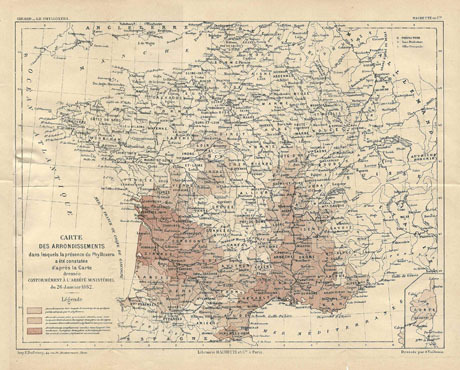 In the 1840s, a third of the population of France derived a living from wine — the nation’s second most valuable export after textiles, despite the fact that indigenous consumption was an already impressive fifty litres per head (and rising) each year. “French viticulture,” writes Christy Campbell in The Botanist and the Vintner, had “entered a golden age,” with improved machinery and methods of cultivation as well as the invention of “a convenient glue that fixed paper to glass” and thus allowed producer and place-specific labeling. “Every owner, it seemed, had to have a ‘chateau,'” as wealthy investors created a speculative boom in vineyards and the great wines of Bordeaux and Burgundy began to acquire the characteristics we still value today. In other words, the stage was set for disaster. IMAGE: 1882 map showing the advance of phlloxera in France, via Wikimedia. 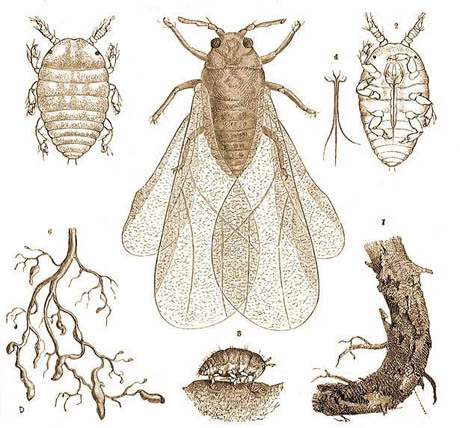 IMAGE: The lifecycle of phylloxera, via. The culprit was a tiny aphid-like insect, native to North America and innocently imported on the gifted vine clippings. Called phylloxera vastatrix, the microscopic pest sucked sap from vine roots. 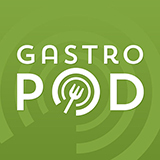 The resulting root galls were not fatal to American vines, due to biochemical responses developed over years of co-evolution — but French vines had no such defenses, and succumbed en masse. The impact on wine culture and French society was enormous, and Campbell’s book (to which I plan to return in a future post) details the enormous lengths — research commissions, quarantine zones, and the invention of chain-mail vine gloves and giant cast-iron syringes for injecting explosive pesticides into the soil — that France’s desperate wine-growers, government officials, and botanists went to in their search for a cure. 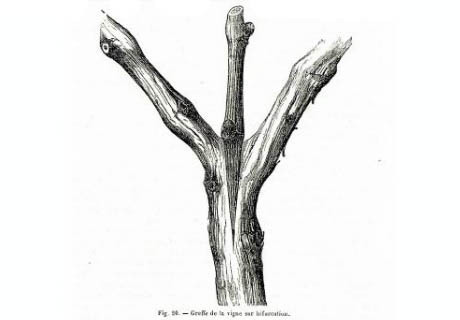 IMAGE: Vine grafting instructions from Charles Baltet’s Arboriculture fruitière et viticulture handbook of 1870, via the Bibliothèque nationale de France. To make a long story short, however, by the end of the nineteenth century, agricultural officials and scientists had determined that the best way for French viticulture to overcome the phylloxera plague was by grafting French vines onto already resistant American rootstock. The process was called “reconstitution” and, as Gissen points out, it was not without challenges of its own. Planting such a hybrid, almost Frankenstein-like plant must have been torturous for a nineteenth-century French wine maker. They experienced a panic twice-over: the initial loss of their vineyards and their replacement with “American” root stock. American vines produced notoriously strange-tasting grapes. And French wine-makers must have wondered if the typical (and odd) flavors of American vines would transmit into the French grape. 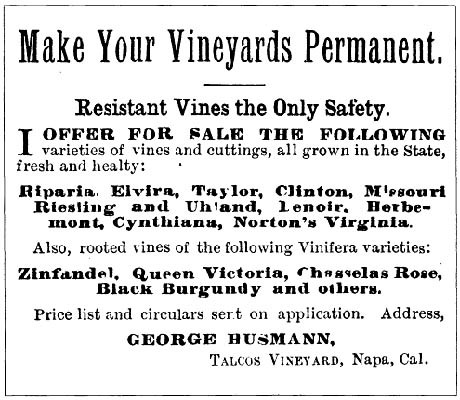 IMAGE: Advertisement for resistant American rootstock, Pacific Rural Press, 1883, via. The resulting wines are an attempt to recreate the long-lost flavour of pre-phylloxera French wine. These experimental winemakers, and other franc de pied enthusiasts, believe that “French wine lost something when it was forced to graft all of its vines over to American rootstock” — a certain flavour, texture, and even purity. 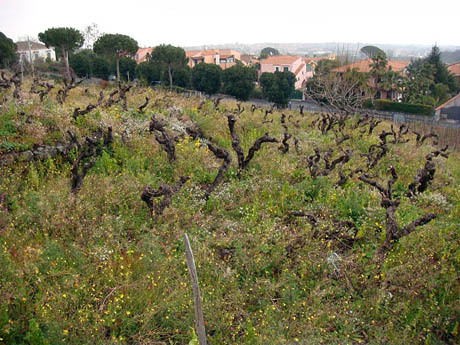 IMAGE: Pre-phylloxera vines growing in the Benanti vineyard, via the Asia Wine Society. 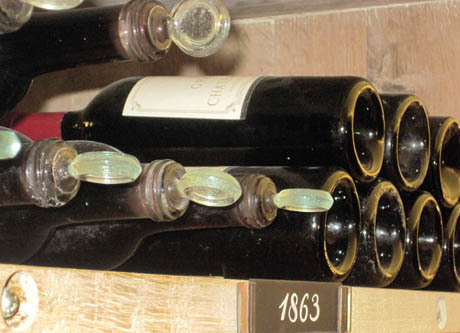 IMAGE: Cellars at Chateau Latour, via the Wine Cellar Insider. “Extraordinary silkiness” seems to be a common characteristic of today’s franc de pied wines, too — but comparing a wine made in 2011 with one that has been aged for more than a century is hardly apples to apples. I hope to taste a few of these franc de pied wines. But I want to taste them alongside wines made from grafted vines from the same vineyard. Arranging this is not easy. To taste the difference, everything must be identical – soils, vintage, and the techniques used to transform grapes into wine. 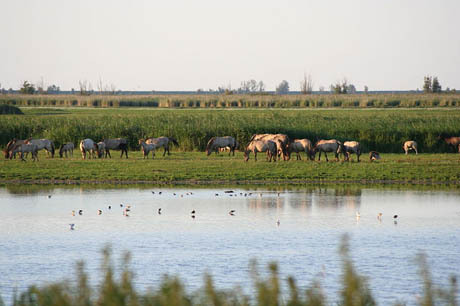 IMAGE: Oostvaardersplassen in 2008. Photograph by EM Kintzel, I Van Stokkum. A few days later, with Gissen’s post fresh in my mind, I read Elizabeth Kolbert’s “Recall of the Wild” in the New Yorker. The article, which is well worth reading in full, tells the fascinating story of Dutch efforts to recreate Europe’s paleolithic ecosystem in a fifteen-thousand acre park built on reclaimed land half an hour east of Amsterdam, within the larger context of the “rewilding” movement. 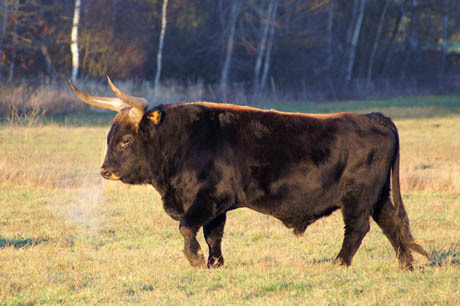 IMAGE: Heck bull in Germany. Photograph by Walter Frisch. If different breeds of primitive cattle preserve different stretches of the aurochs’ genetics material then reassembling those stretches should produce something close to — thought not exactly like — the original. 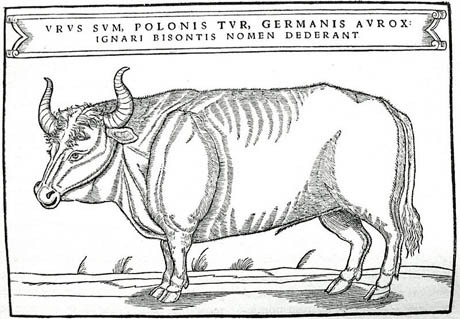 IMAGE: Aurochs, illustrated by Sigismund von Herberstein in 1556, via Wikipedia. The meat is marketed as “wild beef,” and it commands a premium in Amsterdam, where it is available only to customers who sign up for delivery in advance. This gastronomic aspect of rewilding has caught on in recent years, as ecconomically depressed areas across Europe join the movement: Kolbert writes that “it is expected that visitors to the continent’s rewilded regions will be able to enjoy not just the safari-like tours but also the local cuisine.” The chance to eat man-made recreations of a long-lost ecosystem, Diego Benito, who runs a thirteen-hundred acre nature preserve in far western Spain, tells Kolbert, is exactly the kind of story that will sell. Once again, the authenticity of these historical flavours — and of the new wildernesses they come from — is both a key part of their attraction and an acknowledged impossibility. No one is claiming to be able to recreate an originary wine or an extinct animal — but they are appealing to a powerful nostalgia for a lost pre-modern landscape nonetheless. While acknowledging its appeal, Kolbert concludes her article unconvinced of rewilding’s ultimate viability. Meanwhile, Gissen points out that franc de pied vines, by their very nature, frequently succumb to phylloxera and have to be replanted again, and again. And, as William Grimes (and I) assert at the start of this post, tasting historical flavour is impossible, if only on the level of our own perceptual framework. Nonetheless — and despite the fact that these kinds of biological reconstructions are all-too-frequently hijacked in the name of pseudoscience or, worse, racists and eugenicists in search of a mythic lost purity — these experiments are important, as much for what they can’t do as what they can. As Gissen writes, franc de pied wines “dare history as much as they rebuild it.” They and the tauros are what he calls elsewhere an “agitational reconstruction” — a form of historical reflection on contemporary issues. By proposing an alternate history, this expensive “wild beef” and obscure, extremely silky wine can provoke us to reconsider our own assumptions as to what wine, or the landscape, can and should be. It is historical reconstruction as a method for critiquing the present and re-imagining the future, rather than recapturing the past. * Curiously, due to its geography and climate, French vines imported into Chile never succumbed to the pest. Christy Campbell, in The Botanist and the Vintner, reports that many Chilean wines take great pride in the fact that they are still grown on “original” French rootstock — but, of course, not on French terroir. I can tell you exactly where to taste the original and the grafted wine at the same time! Somewhere in the middle of France, where I live. Oh, thank you so much for this text. I’m a collage student writing final work for diploma on subject close to this theme. My study involves Malvasia istriana grape grafted on four different rootstocks and difference between vegetative growth in first year. But my question, to start with, was what is the difference between grafted and vine on its own root, but my mentor told me it couldn’t be done, and that there is no way that ungrafted vine could grow in our domestic soil (Croatia). I had this question in my mind long before I started looking for answers, and now, while I’m writing a conclusion for my paper, your text comes up. And it is full of information which is up to date. I will definitively use this subject to discuss whit my professors. The problem in the research papers about effects of rootstock is that they regularly do not have a control on ungrafted vine. Hearing about the rewilding efforts in Europe was also fascinating and inspiring, though the fascination with re-establishing pre-historic animals escapes me. Those were dangerous animals! Nature extinguished them for a reason – they are not compatible with human life! Boys and girls need to chill with the genetic fiddling because this is definitely a case of just because you can doesn’t mean you should. Be Here Now, kids. I think the important factor is to simply re-establish the terroir – no need to complicate matters by bringing dinosaurs into the picture – then anything heirloom grown there will taste authentic. Thanks so much for such an enjoyable post! Interesting — I’d love to hear more about what they had to say. On a side note, your post made me curious about grafting: I had always thought that there was no transfer of genetic material when plants were grafted together, but apparently some studies do show genetic “leakage” between the cells of the grafted plants, making the fears of French winemakers in the 1800s more legitimate than I had ever realised. Nicola: Excellent essay. I received a few emails about the franc de pied post, and various wine industry people talked to me/confronted me about the post and the differences between franc de pied and grafted wines. Apparently, the flavor difference is most noticeable as the wines age. But once again, the only way to tell the difference is to taste aged, identically made wines from the same vineyard.